The BCCM consists of 12 members that serve staggered four-year terms. The board met earlier this year in Phoenix, Arizona from January 7th through the 9th, 2019 at the American Meteorological Society's 99th Annual Meeting. At the end of the meetings, two ACMs were recognized for their service on the board. 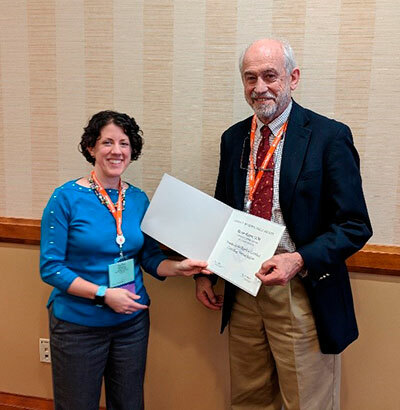 BCCM Chair and ACM member, Alicia Wasula, recognized outgoing BCCM Chair, Tim Hall, for his service as Chair and board members. Tim works out of Columbia, Maryland for the Aerospace Corporation. 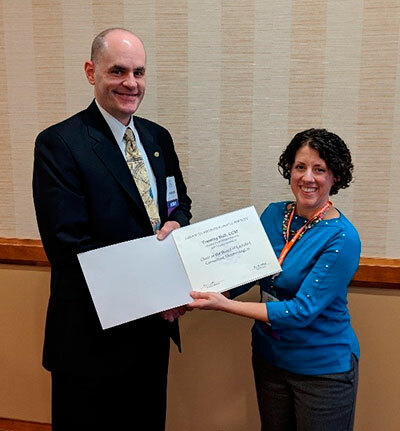 ACM member Dr. Steve Hanna was also recognized for his service to the board by BCCM Chair Alicia Wasula. Steve is the principal at Hanna Consultants based out of Kennebunkport, Maine and specializes in dispersion modeling and boundary layer meteorology. If you want to learn more about Alicia, Tim, Steve and all members of ACM, use this link: http://certifiedmeteorologists.org/find-an-expert-meteorologist.htm.